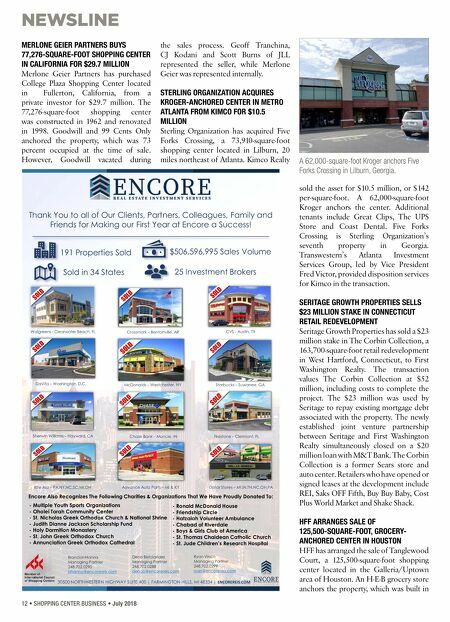 interfaceconferencegroup.com/nl2018 If you are involved in retail NNN investment, development, financing, sale leaseback or 1031 transactions, you need to be at InterFace Net Lease! Alicia Turlington • 404-832-8262 • aturlington@francemediainc.com Rich Kelley • 914-468-0818 • rkelley@francemediainc.com Scott France • 404-832-8262 • scott@francemediainc.com Registration & General Information: Sponsorship & Speaking Information: Shopping Center Business and Northeast Real Estate Business magazines are pleased to host the 9th annual InterFace Net Lease conference on October 3rd in New York City. 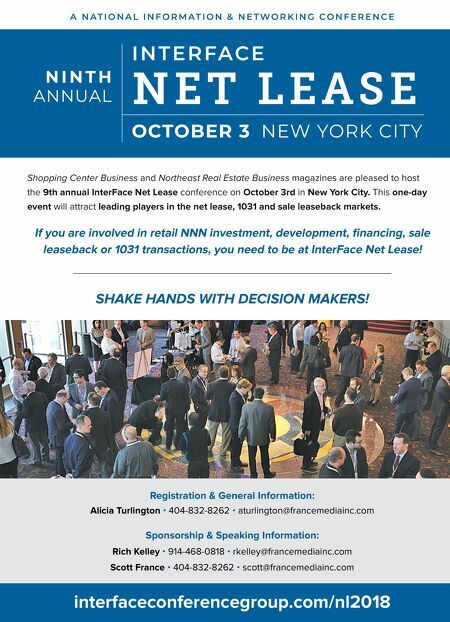 This one-day event will attract leading players in the net lease, 1031 and sale leaseback markets. N E T L E A S E N I N T H ANNUAL I N T E R FA C E OCTOBER 3 NEW YORK CITY A N A T I O N A L I N F O R M A T I O N & N E T W O R K I N G C O N F E R E N C E SHAKE HANDS WITH DECISION MAKERS!